Even the less experienced boat owners know that keeping the boat well maintained is the best way to reduce your expenses, ensure safety and reliability and retain the boat’s value. Since the average annual budget to cover for maintenance and repairs is 10% of the boat’s value it shouldn’t be taken light-hearted. After all, it is better to improve efficiency, keep your boat looking good for the season and avoid much costlier future repairs right? The holy grail of efficient boat maintenance, either you own a sailing yacht or a motorboat, is to develop a proactive mindset and try to fix any damage as soon as it comes up. Being preventive, instead of saving up for the winter refit period, contains much less risk for the boat to suffer extensive and successive damage. Technicians, electricians and engineers get paid a lot more when performing the same job on a yacht rather than when the do it ashore. Hence, if you are able to do small things on the boat yourself you can save a significant amount of money and also save precious time. After the season’s end you can keep note of the necessary tasks that need to be done. During this period, it is easier and perhaps cheaper to get engineers and other laborers on board since there is less demand for their services in the market and there is no time pressure for you too. Having carried out the heavy works during winter you can leave the remaining tasks like antifouling just before the next season starts and refresh the boat. The sun has a destructive effect to plastic, rubber and wood so in order to increase the long-term lifespan of your stuff try to store them out of the sun when you don’t actually use them. The same applies for the woodwork parts of your boat. Since wood doesn’t last forever and demands your regular attention, the less of them you have the better. You will need only few hours to polish the gelcoat so it can look good again. This way you avoid the high costs of repainting the boat and gain some time waiting the end of the season if a full paint is inevitable. 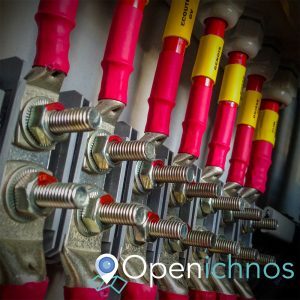 Get Openichnos to always monitor your batteries and get notified instantly and remotely when its levels drop below a pre-defined threshold. If you have a sailboat, sails is a common expense that results from poor maintenance. Since they are exposed to the sun and suffer wind extreme conditions and flogging you should really look after them regularly and consistently. The trick is to examine carefully the fabric for any nicks or tears and stich even the smallest ones as small holes might look innocent now but they can grow quickly and destroy the sail. Although the engines have a long lifespan, proper maintenance helps to keep their performance and reliability at the same levels and avoid costly surprises. 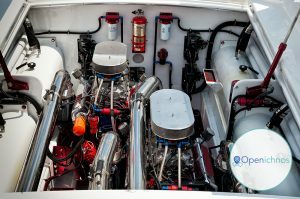 Especially if you own a powerboat, you’ll need to check and service the engines more frequently. An annual service is required and its imperative to change the oil and the oil and fuel filters. Also, it is highly recommended to replace the sacrificial nodes and check the propellers and the bilge pumps. Apart from the commercial part of having a clean and fresh interior for your clients you will avoid the damp, dust and mold that are gathered inside the cabin. The best solution is to get a solar ventilation placed at both ends of the boat in order to clean up the air and moisture. When you have access to shore power the use of a dehumidifier is strongly recommended to dry out the boat. Moreover, on a clean interior you can easier check for any leaky windows or hatches while it is still early. A boat is moored for a long time during its life so it should be taken very seriously. Be careful of the fenders and warps to be in good condition or else it may result in out of schedule damages. The main issue here is to check the fiberglass for any cracks, scratches and damages and repair them before it gets worse. On the aesthetic part, in order to preserve its color you can use wax and regular polish. Wooden boats are at risk of damage caused by failure of the paint, varnish or epoxy coatings and the damages from fresh water and frost. Lack of ventilation also causes great damages to wooden structures. If you don’t have a dehumidifier in the storage area, make sure to maintain a constant flow of fresh air in there so that wood can breathe. Now that you have a properly maintained boat you can focus on keeping the boat and people on board safe making sure that you haven’t done all this effort in vain. You should know at all times where your expensive asset is and the condition of its vital systems. 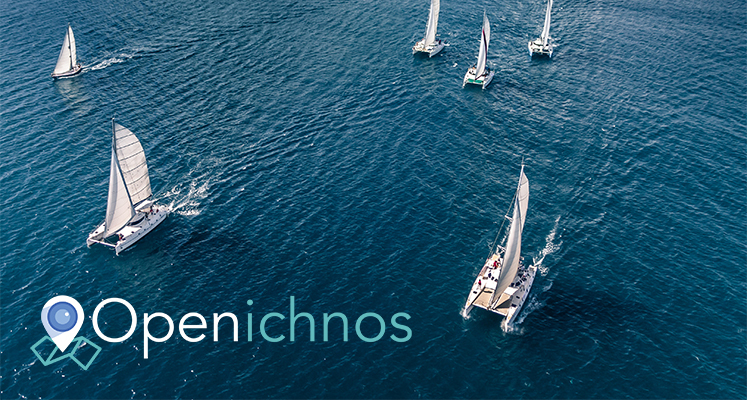 The best way to go is to have an Openichnos device on board so you can rent your good boat with peace of mind.